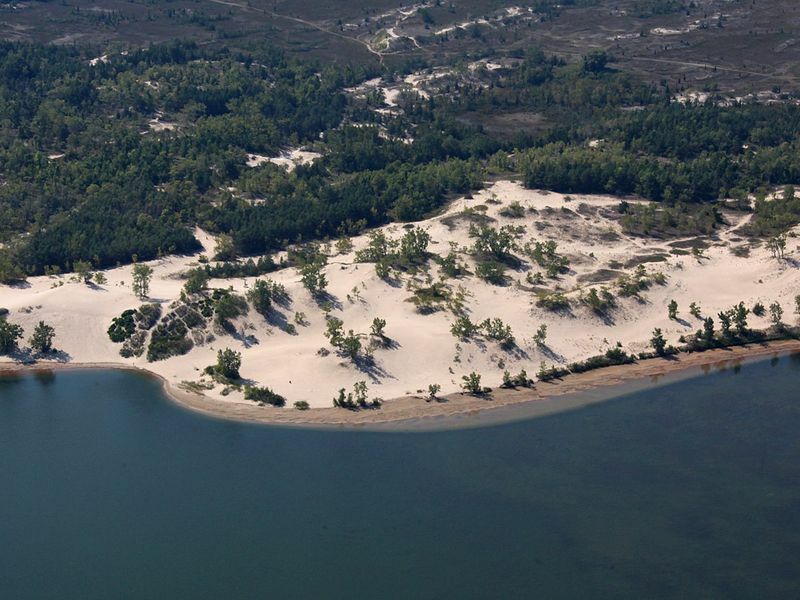 Golden sand spread out across three beaches, sparkling blue water perfect for swimming and towering sand dunes greet you at Sandbanks Provincial Park. 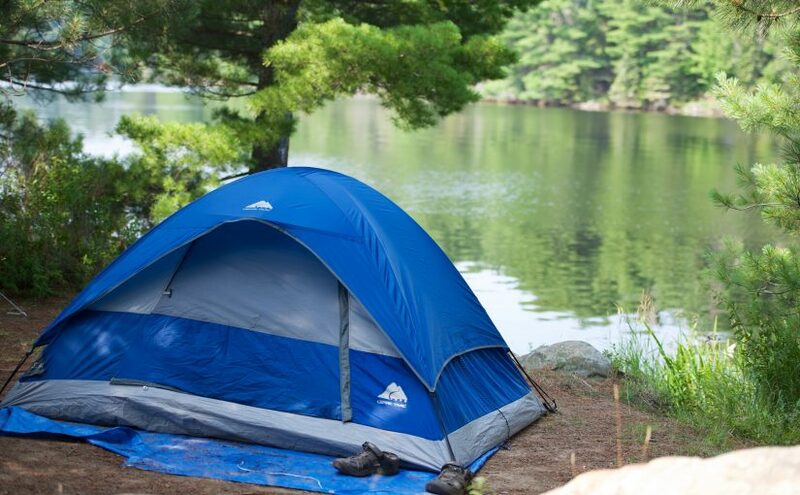 Located in Prince Edward County this provincial park is designed for families with great hiking trails, watercraft rentals and special events happening all summer long. This beautiful park boasts five campgrounds to choose from with many of the sites right on the waterfront. Whether you are looking to tent or bring your trailer; there is a site for you. The dunes provide endless amounts of fun, the park is plenty big enough to explore over a number of days and both parents and kids will delight in the wildlife they see. 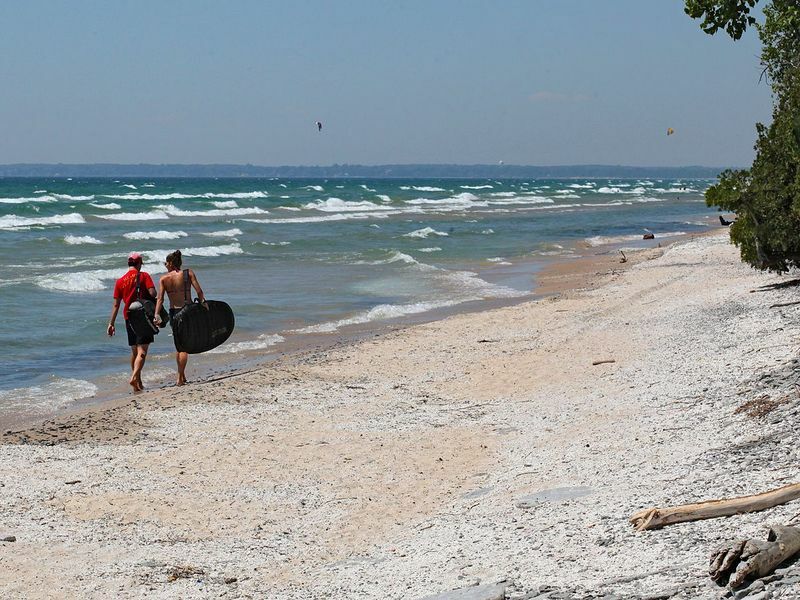 Families should be sure to bring their swimsuit along as Sandbanks has two of the largest freshwater baymouth sandbars in the world and has been rated as one of the best swimming spots in Canada by the National Post. Two of the three beaches are shallow with gradual drops offs; perfect for the little ones to get their feet wet. It is important to note no lifeguards are present so parents need to be aware at all times. The sand reminds us of a Caribbean beach with its almost white colour and silkiness. Nowhere else in Ontario can you find this incredible sand; perfect for sandcastle building and beach volleyball. When you are all done swimming it is a short walk back to your campsite; we recommend staying at the Cedars area as it is the most family friendly. The more private and sheltered campsites allow little ones to be in bed on time and generally has less traffic. Here you will find hot and private showers, flush toilets and water amenities. Some of the cleanest washrooms we have seen over Ontario campsites! Hiking at Sandbanks is a unique experience as the wildlife is plentiful and the area is a bird migration hot spot. Animals to keep an eye out for include the monarch butterfly, turtles, white-tailed deer and red-headed woodpeckers. 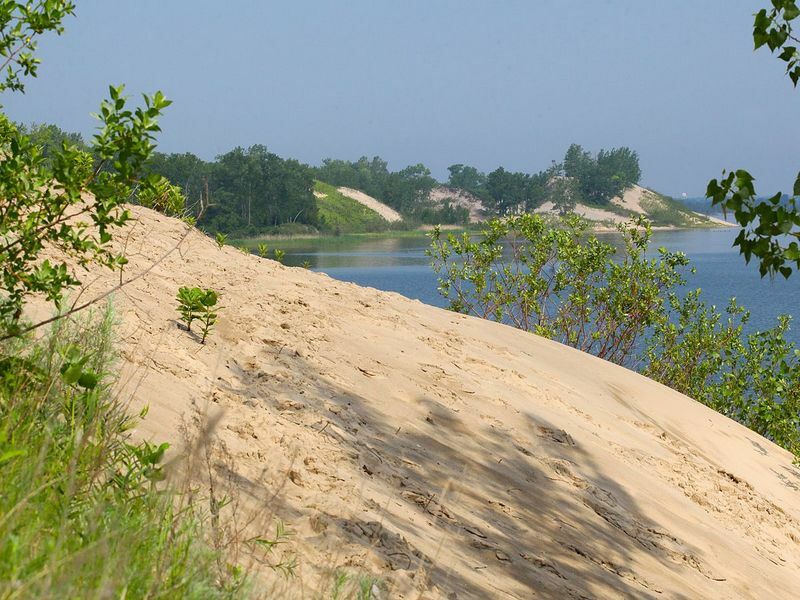 There are three marked trails throughout the park for hiking including our favorite; the interpretative Cedar Sands Nature Trail which explains the ecology of the famous sand dunes. This trail is perfect for the kids as it has several look out points, boardwalks to cross and 12 stops along the way to learn. 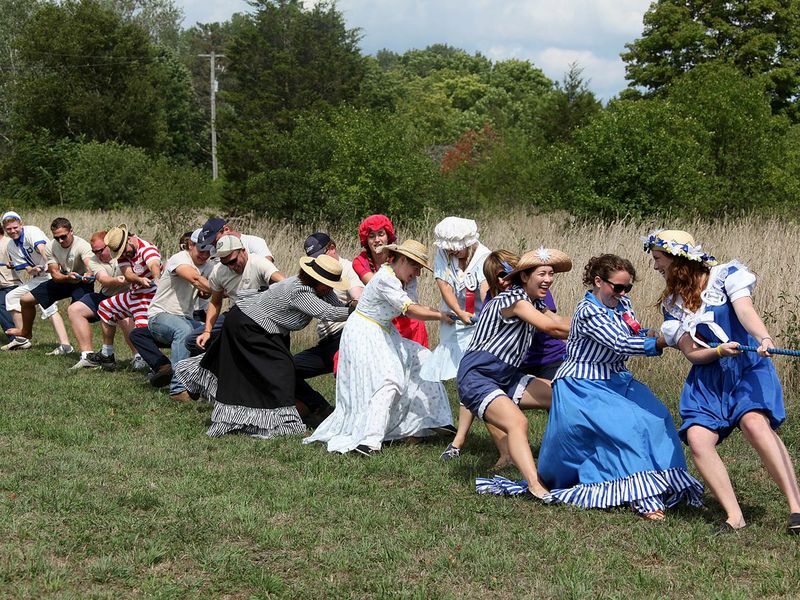 One of the greatest things about the park is the variety of special events and activities they hold throughout the summer. From bird watching tours to guided hikes examining the flora and fauna to the Natural Heritage Education programs offered throughout the summer; there is never a dull moment here. Park Naturalists happily take visitors on hikes throughout the park and lead evening campfires and slideshows. 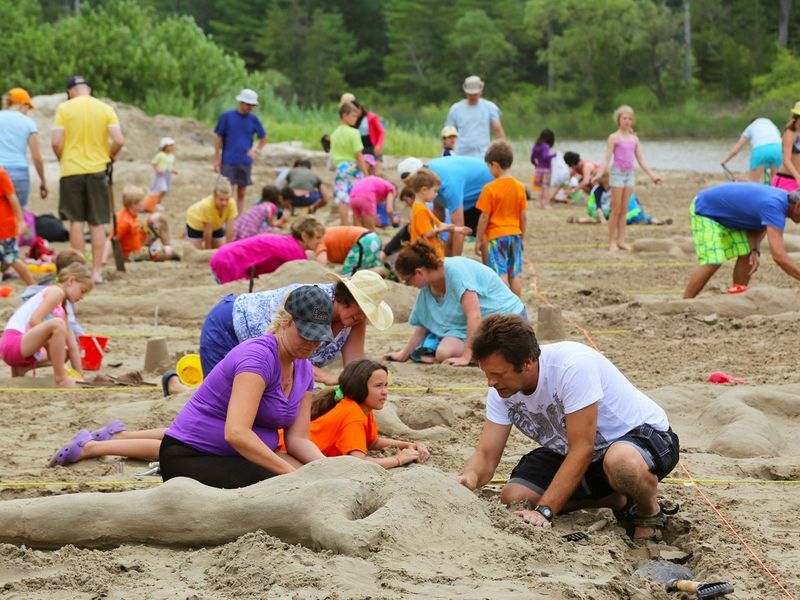 Special events such as ‘Sandfest’ the fun family sand sculpture event and the Lakeshore Lodge Day 1890’s style picnic are annual events that attract a great crowd. The amphitheatre in the park is also host to a variety of events throughout the year including plays and shows. Breathtaking beauty along with friendly and engaging staff who are motivated to teach visitors about the area make this one of our favorite parks in Ontario. The kids and adults love to climb the dunes, splash in the warm waters and spend quality time together. Whether we are renting a canoe and paddling down the river, building a sandcastle on the soft sand or listening to campfire story told by a park staff, one thing is for sure; we return year after year to this incredible park.